According to the IUCN there are now almost 45,000 species considered at risk of extinction. Our¬†closest relatives in the animal world: chimpanzees, gorillas and orangutans, are destined to become extinct within the next few decades if we continue to destroy the forests that host them. Every day, 50 to 130 species¬†become extinct.¬†We are facing the most dramatic wave of extinctions since the disappearance of the¬†dinosaurs 65 million years ago.¬† An ecological disaster is happening at an unprecendented rate; previous crisis played out over millions of years, and in the presence of natural disasters. 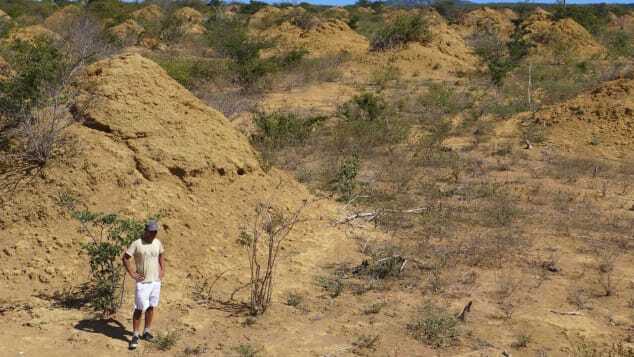 Researchers have discovered a gigantic complex of 200 million termite mounds in northeastern Brazil, which may be up to 4,000 years old and covers an area about the size of Great Britain. Although visible on Google Earth, the conical mounds, some of which rise up to 10 feet high, are largely hidden from view at ground level in semiarid, thorny-scrub forests, according to research published this month in Current Biology. As world leaders and conservationists descended on London last week for the Illegal Wildlife Trafficking Conference, the burning question in their minds was: How can trade in ivory, especially in Asian countries be contained? The fear is that Africa’s elephants could go the way of dinosaurs. Some 20,000 jumbos are killed each year — 55 every single day — mostly for the illegal ivory trade. The Tapanuli orangutan is a sensational discovery – it was only recognized as a distinct species in 2017 and it is already facing extinction. Only 800 individuals remain, hidden in a small patch of forest in northern Sumatra. A Chinese hydropower project may soon destroy their habitat. Australia's koala population faces extinction across large parts of New South Wales and Queensland as urbanisation, land clearing and climate change threaten the vulnerable species' habitats. 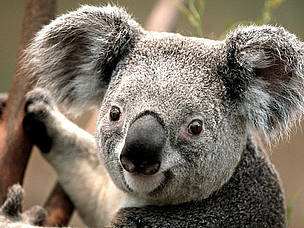 Experts are warning of an "unfolding tragedy" which could see koalas wiped out of regions including the Koala Coast south-east of Brisbane, and the Pilliga Forests area in northern NSW. More than a third of the 7,000-odd living species of frogs and toads are found in rain forests around the world. But the fossil record for amphibians from these kinds of wet, tropical environments has been almost nonexistent, leaving paleontologists with few clues to their early evolution. Now, lumps of amber dating back to the Cretaceous period have revealed a set of four tiny tropical frogs that lived alongside the dinosaurs, making them the oldest frog fossils of their kind. The specimens include the remains of an ancient frog complete enough to be described as a new species, called Electrorana limoae.